Available exclusively to hotel pay and stay guests from October until casino opening date. Not available for Nepali nationals. 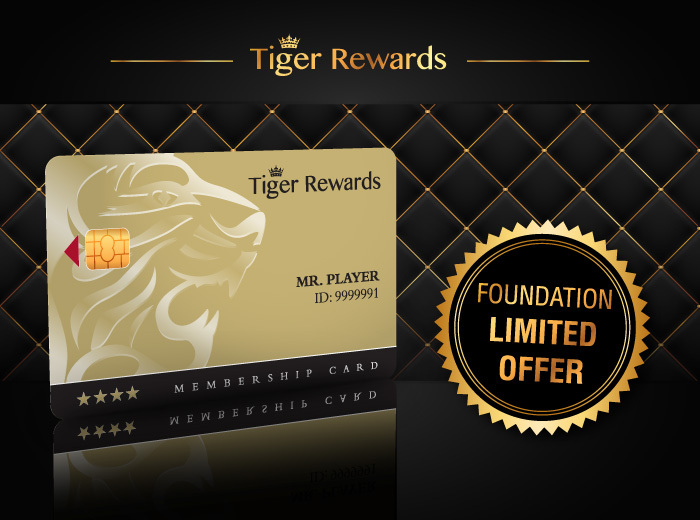 Automatic enrolment in the Tiger Rewards Program as a Gold Card Member. 500 NPR in non-cashable slots credits. 500 NPR non-cashable promotional chips coupon. Double Rewards Points for slots and gaming table play for 1 week after enrolment.